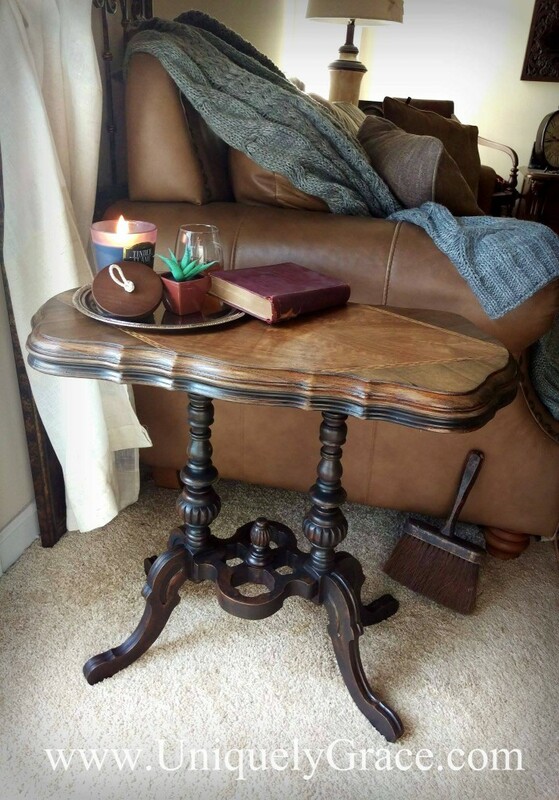 Meet Edgar – A stingy ol’ Victorian side table that needed some hard work to see his inner beauty. He came to me at a flea market last summer and was tucked away in my garage for a while. I am so glad to took some time to pull him out and give him a wonderful new life. 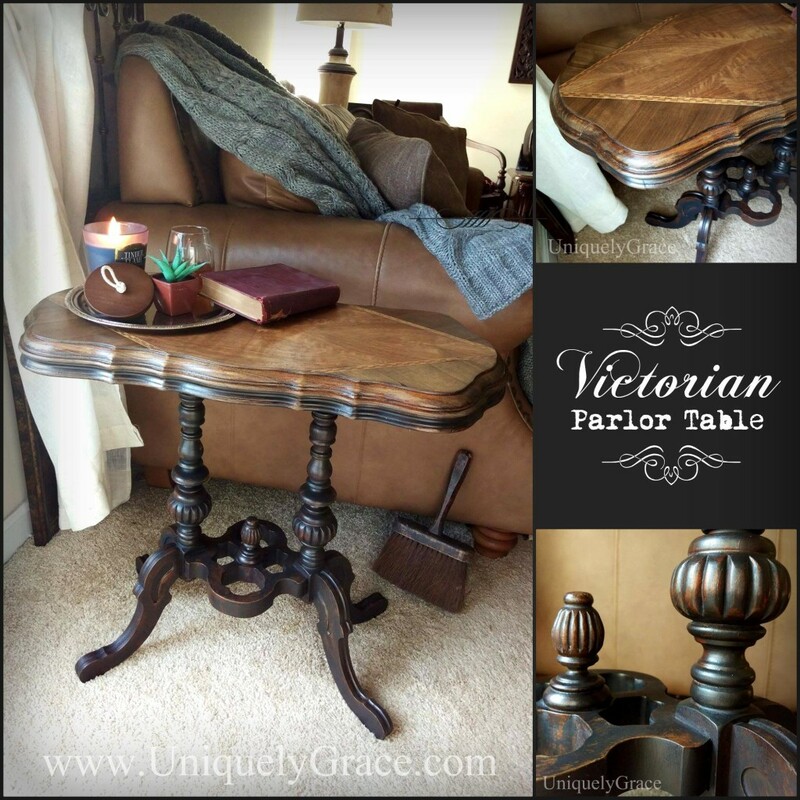 This Victorian parlor table was created circa 1870. I normally don’t like to touch antiques but I feel I did it justice. 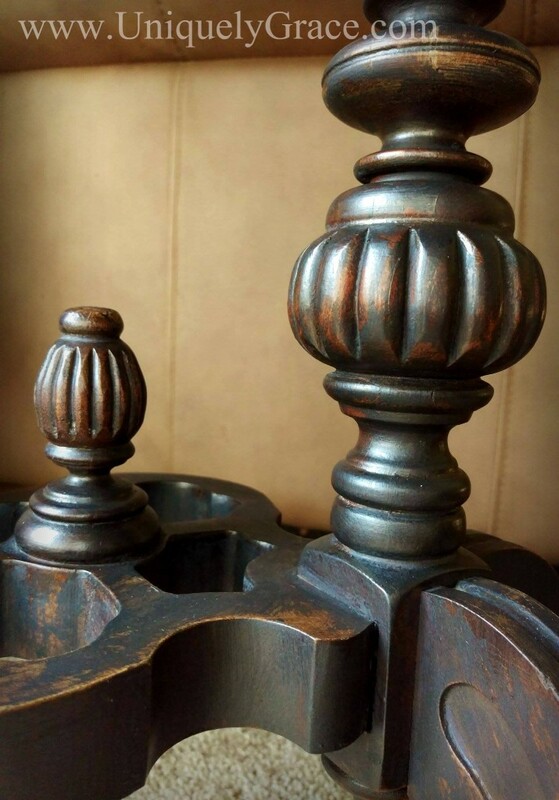 A stunningly aged looking finish to fit the style and age of the piece. Now he looks like a million bucks… but he is priced at a much lower amount. LOL! I think this parlor table is one I am going to miss dearly. – Solid walnut wood legs carved in details that are simply stunning! I mean just look at hat detail accented some distressing and antiquing. 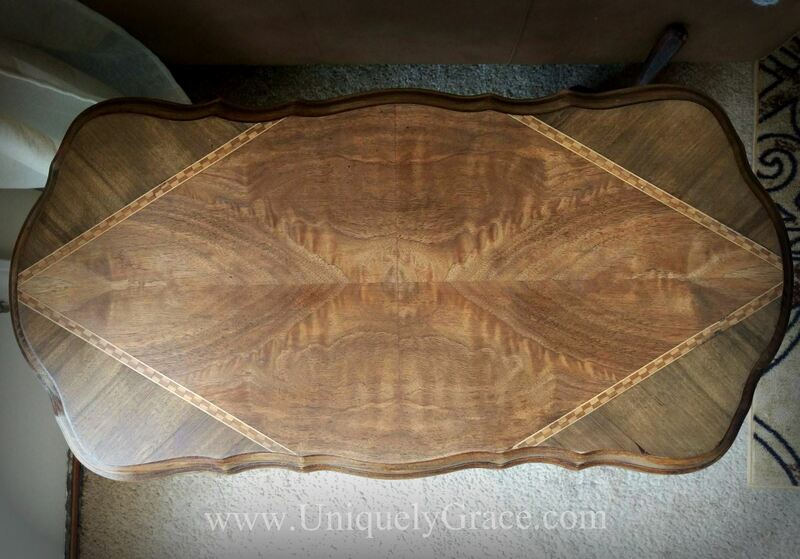 – Solid wood top with Rosewood Inlays, all were hidden by thick aged poly, wax and sealers. When I bought this table I didn’t even notice the inlay. I just loved the shape and it’s legs. 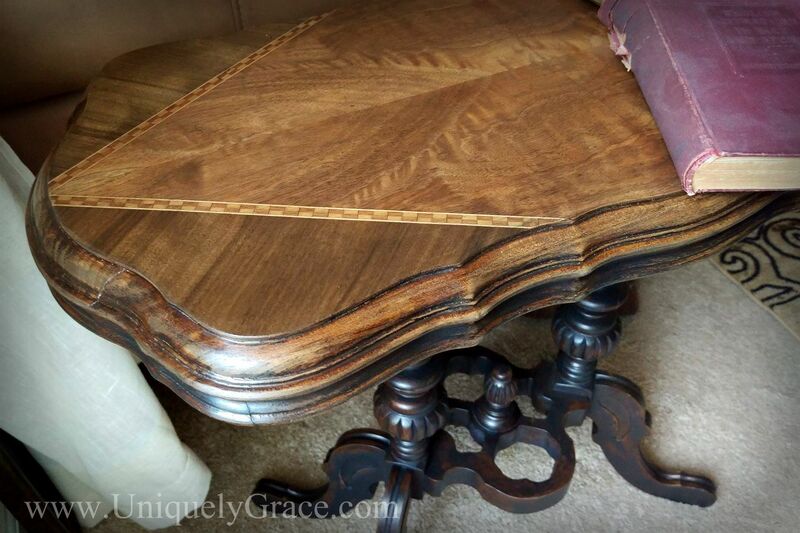 This was a wonderful surprise on this Victorian Parlor Table. – Beautifully routed edges, such craftsmanship! – Black base with exposed wood distressing and a Hazelnut antiquing adding depth and an aged finish to match the piece. – Victorian furniture was created in the mid/late 1800’s, circa 1870. This parlor table is a rare and handsome find. – Refinished with all non toxic and VOC free products. Thank you so much for your time I hope you love this piece as much as I do.